Lake Tahoe is FULL with the water level being 6,228 Feet and the first quarter of 2018 is showing strength in the North Lake Tahoe real estate markets! Even though Lake Tahoe home inventory remains limited at most price points, which makes it so that buyers have fewer choices, they continue to see the value of the current inventory which is good. Undoubtedly, there is a historical steady rise in inventory every spring, which means more competition and in turn, demand will soften. 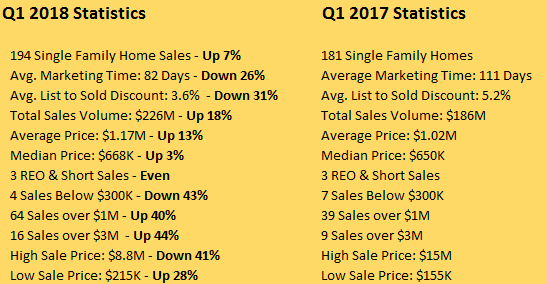 Since we are in a “seller’s market” and have this remarkably low inventory, now is the best time to list your Lake Tahoe property. With fewer choices, your home will sell quickly and for top dollar. Also, give us a FOLLOW on Social Media! Our team is ready to help you with all your real estate needs! 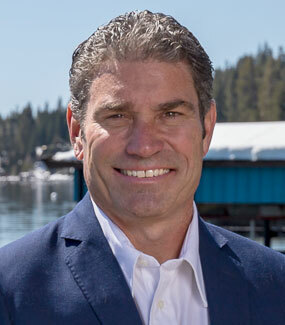 "Kelly Smith is a very knowledgeable agent in Tahoe. I always look forward to working with him because he’s honest and knows the market value. He is easy to work with, whether you’re buying... continued"